Abstract: The first 100 years of the Dominican order witnessed the transition from a small group of men dedicated to preaching against the Albigensian heresy in southern France, to a transnational order with thousands of members affecting nearly every area of Latin Christendom. This essay is a short bibliographical overview of the state of Dominican studies for the first 100 years of their existence. It touches briefly upon the foundation, the idea of poverty, University study, preaching, inquisitions, female spirituality, and the Dominican relationship to the papacy. It offers a look both at the necessary sources for a study of the Dominicans, as well as a look at new directions in scholarship about the order. Introduction: When Dominic of Caleruega began preaching in southern France in the early 1200s, he would have had no idea of the far reaching influence that the band of men he would attract would leave such a broad and enduring influence on medieval history. 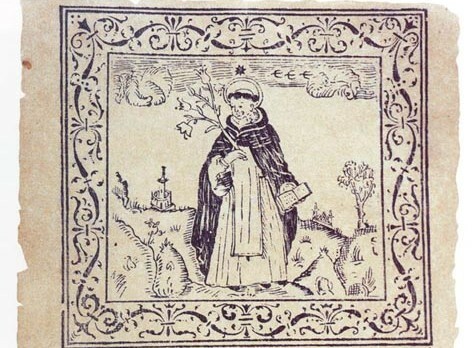 Growing rapidly (along with the Minorites of St. Francis), the Friars Preachers or, later, the Dominicans, penetrated nearly every corner of medieval life and thought. They brought with them a zeal which spilled over into preaching, teaching, inquisitorial work, crusades and pastoral service. Their alliance with the popes strengthened papal centralization and power, and their learning, coupled with a life of poverty, made a deep impression on their contemporaries. This enabled them to mold religious practice into new and interesting directions, and to revolutionize many of the ways in which pastoral care was administered. Narrating the history of the Dominican order in its first 100 years necessarily involves a great number of areas and focuses of study. It crosses disciplinary boundaries into theology, philosophy, art, architecture, economics, and other disciplines. For this reason the following essay is a broad overview, covering the many different areas critical for understanding the origins, progress, and history of the Dominican order in its foundational period. It intends both to give the student a brief, overview history, as well as discussing major emphases in recent scholarship.